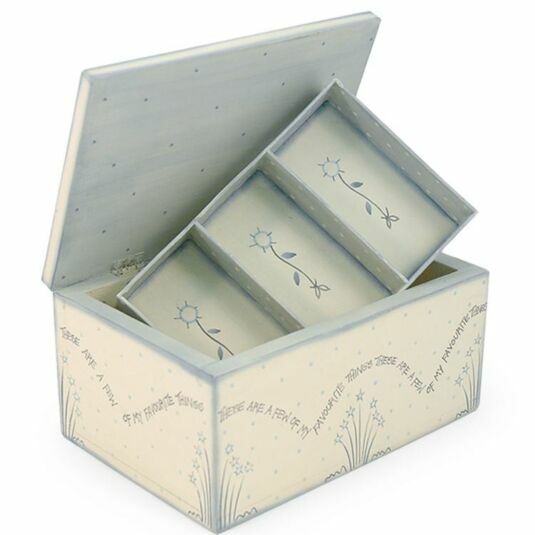 This vintage styled jewellery box is hand-made and hand-painted, and can be opened to reveal a removable three compartment tray, decorated with flowers, to holds your jewellery, as well as a large compartment beneath the tray. 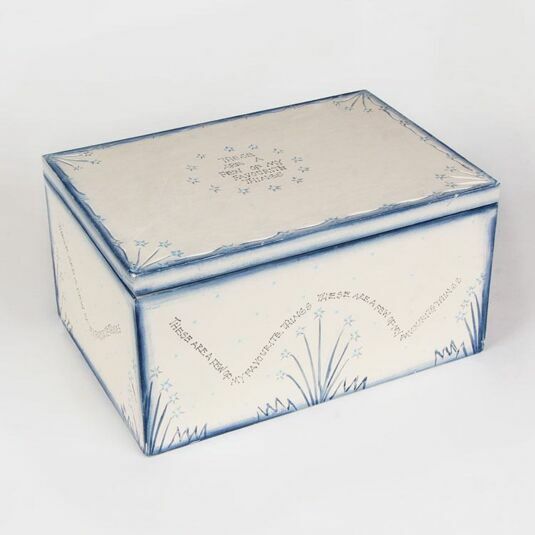 This box has a hinged lid, and features a design of shooting stars emerging from clouds. is repeated on the lid and all sides of the box.